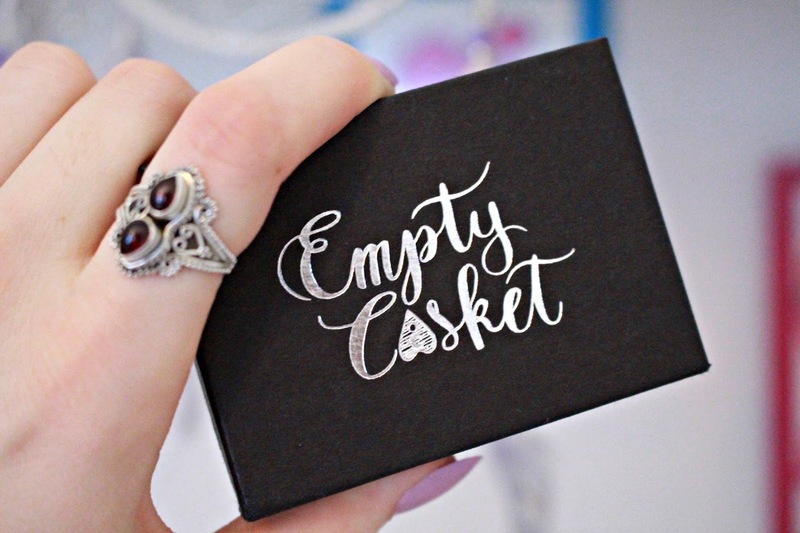 Ok so, I'm a little bit in love with Empty Casket. Why you so? My friends, i'll tell you why. No, really it did. Their account popped up on the popular page feed a few years ago now and I was instantly drawn to their witchy goodness and boho chic offerings they had. Being a long time fan of their pretty jewels I have grown quite a collection myself from them. They're my ''go to'' if I'm after something a lil bit weird and a lil bit out there. So obviously I was pretty stoked when I was asked to pick a piece out to debut on this old blog of mine. Man, it was tough to make a choice, in the end, I had it whittled down to this gorgeous necklace, statement blue stone ring and my two stoned beauty I'm showcasing below. 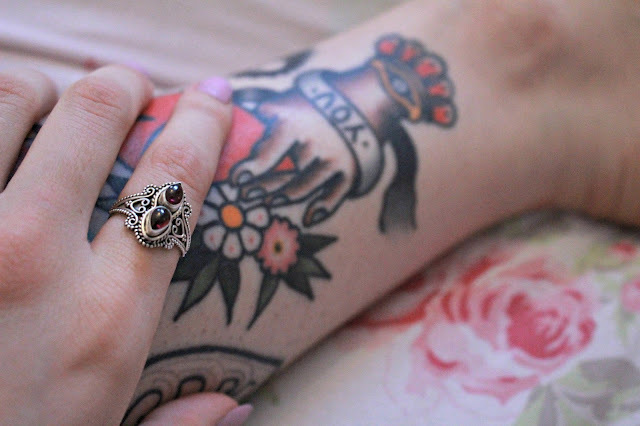 4) Its so PRETTY heart eyes for eva IDST. 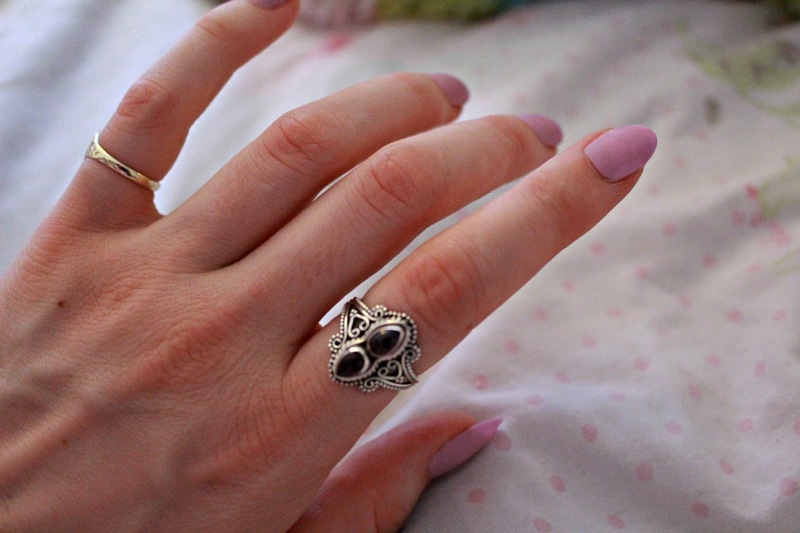 When I wear rings, I like to wear a lot a lot at the same time and this has been a welcomed edition to my daily rings I like to wear. 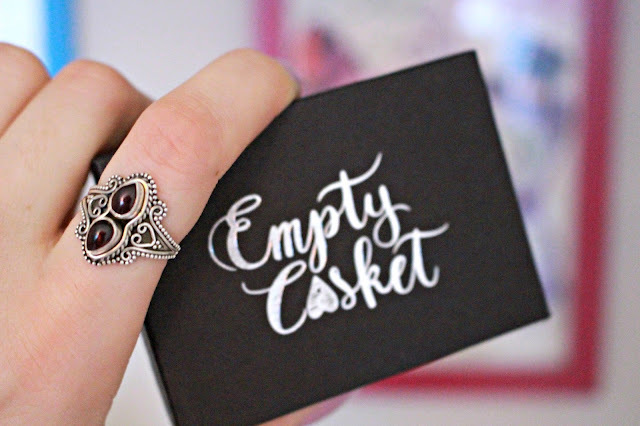 I was so pleased with everything about this ring, from the quality to the desgin, even the little gift box and beetlejuice-Esque stripy bag it came in. I'm a sucker for good presenation. 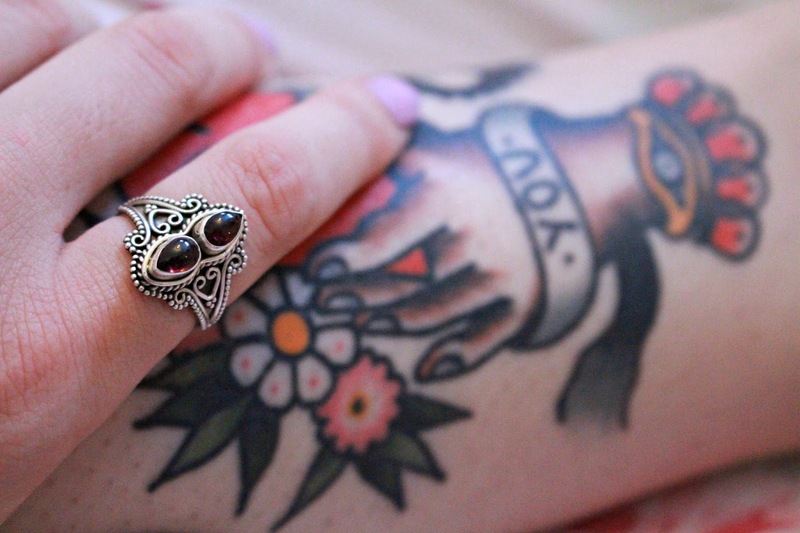 What's your fave type of jewellery to wear? Are you a minimalist or a jewel stacker?